They say late season canine trapping separates the men from the boys. 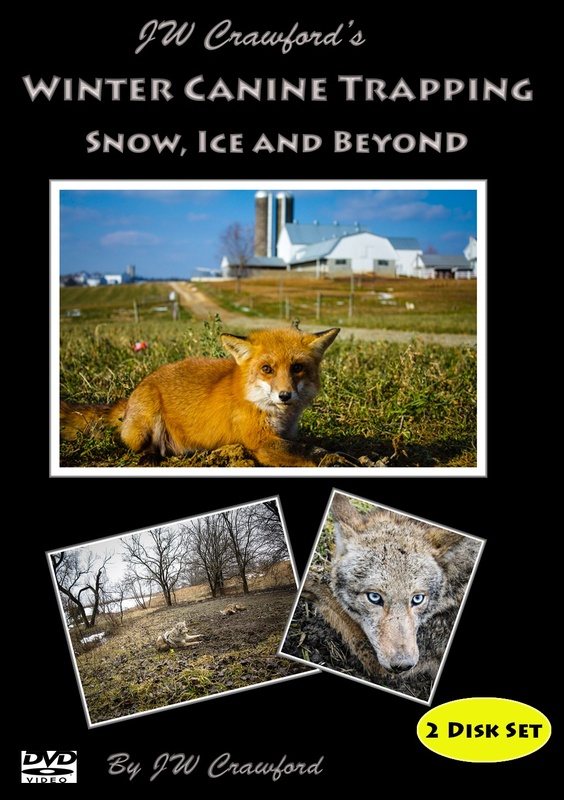 In this 2-disk DVD set, trapper and author John W. Crawford explores every conceivable aspect of winter canine trapping, taking you along on several full scale working traplines, filmed in four states. canines during the fall and winter shuffle. This DVD is new standard for winter canine trapping methods. With over 30 years experience, John W. Crawford pours out all he knows in this 2-disk 3 ½ hour DVD set. You will need several viewings to absorb this information that is not only educational but entertaining. This is canine trapping to the Extreme!! !